Miami Mechanical Contractors, Inc. has several years of HVAC industry experience and has been locally owned & operated since its inception. Owner Jesse Garcia is a Miami native and represents the second generation of the company, which was originally founded by Jorge Talavara. Today, Miami Mechanical Contractors completes projects ranging in size from $5,000 to $1,000,000+. The company provides commercial and residential Heating, Ventilation and Air Conditioning services throughout South Florida. The Miami Mechanical Contractors team is dedicated to providing the highest level of service, unmatched attention to detail and superior quality. 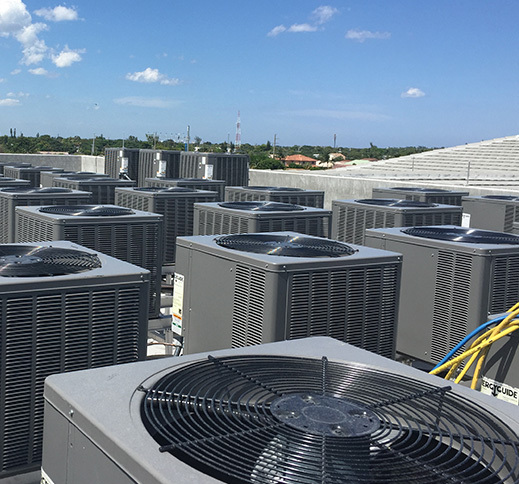 From estimating & design to project management and service work, the company prides itself on being the most trusted HVAC and Sheet Metal Contractor in the South Florida area. It’s no wonder why so many companies choose us for their residential and commercial air conditioning repair & heating repair needs. Miami Mechanical Contractors, Inc. is committed to leading the industry in providing innovative, quality, value-added customer service and installation for HVAC Systems. We pledge to listen and respond to each customer’s needs in every possible way. Our mission is to take pride and responsibility for the projects we are awarded, to staff the projects properly, and to complete the projects thoroughly and on schedule for the benefit for our Clients, the Company and its Employees. All of our technicians have been educated, trained and certified to provide the highest level of service for every HVAC project. Our team brings professionalism, problem-solving abilities and value to each project we work on. Our culture thrives on teamwork, persistence and experience, making us a trusted partner for any commercial or residential HVAC project. Whether you need heating & air conditioning repair services, or full HVAC installation services, our team will be there to work with you. All of our technicians have the education and work experience necessary to ensure that your project is code-compliant and completed on schedule with the highest standard of quality available. Our team is trained to work with a number of brands including (but not limited to) American Standard, Bryant, Carrier, Rheem, Honeywell, Lennox, Liebert, York, Trane, Unico, Mitsubishi, Daikin, Sterling and Warren. This allows us to provide commercial air conditioning repairs and heating repairs to a wide range of happy clients. If your business or home needs AC or heating repair, maintenance or install, you’ve come to the right place! Our team strives to maintain the highest level of professional service, workmanship, and teamwork on each job. When working with Miami Mechanical Contractors, you can expect that your technician will be on-time, courteous, and diligent about the scheduling and quality of our work.